What’s a golf tournament without sponsors? When you create your list of sponsorships, don't forget to create a photography sponsorship so you can hire a professional photographer. Because you want to deliver real value to your sponsors, right? A photography sponsorship delivers significant value to your sponsors. On-site sponsor signage is fine, but it's only viewable by people in attendance at the tournament. That signage lives for just a few hours and is seen by just a few people. A photo gallery from the tournament is something that will be shared widely and viewed by a much larger audience than the signage at the tournament. The photo gallery can have a cover image image with sponsor logos, as well as sponsor graphics interspersed with the tournament photos within the gallery. Every share of the photo gallery is more exposure for your sponsor. The only thing that remains after your golf tournament (or any of your corporate events, for that matter) is the photos. The easiest way to convince people to pay to come enjoy themselves at your tournament is to show photos of people enjoying themselves at your tournament. Don't you think it's a smart idea to let this year's tournament promote the next one? You'll be way ahead of the game for next year and somebody else is doing the work for you. Hiring a professional to create those marketing-grade images for you is the easiest way to guarantee that you get exactly what you need to sell next year's tournament. Year after year, these images contribute to the historical record of your tournament, featuring all the faces that have been along with you and your organization throughout your journey through the years. Don't you think it's important to capture that history? Photography is a great way to celebrate our friends, family, and colleagues when everyone is happy and healthy and thriving. 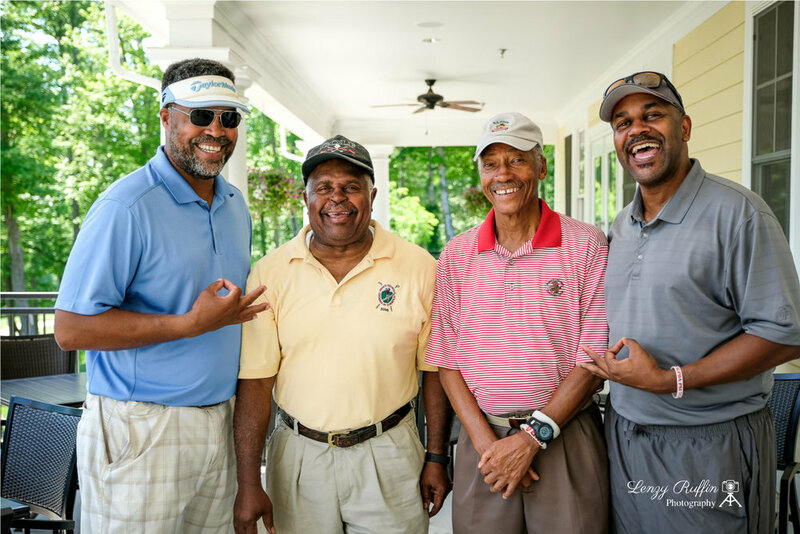 Events like a golf tournament that bring everyone together at the same time at the same place to have a good time are a great opportunity to create photos that busy schedules would otherwise never allow, wouldn't you agree? And the best part is you don't have to pay for it! Let your sponsors pay for the photographer you hire to create your marketing materials / fellowship and historical record images. That's a win for you, a win for the sponsor, a win for the small business owner you support, and a win for everyone who appears in the great photos you get when you hire a professional. So when you're planning your golf tournament this year, don't forget to include a photography sponsorship. And you don't want to wait until the last minute to try to find your photographer because the good ones will already be scheduled. How do you know who's a good one? Let me know if you need help or have any questions.